Recently a partner company Xiaomi, Nanchang Black Shark Technology Co., Ltd. has sent an invitation to the media to attend a press conference launching the Xiaomi Blackshark gaming smartphone. The event, which will be held on April 13 in Beijing, will introduce the world's first gaming smartphone, which is not only supported by the hardware alone, but the design will also follow the form of a gaming console. 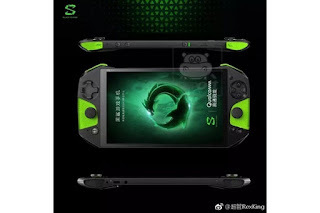 A poster leaked on Tuesday showed a genuine look from Xiaomi Blackshark that looks very similar to a handheld console. Xiaomi has poured huge funds into Xiaochang Nanchang Black Shark Technology Co. Ltd. who will then act as its producer partner. 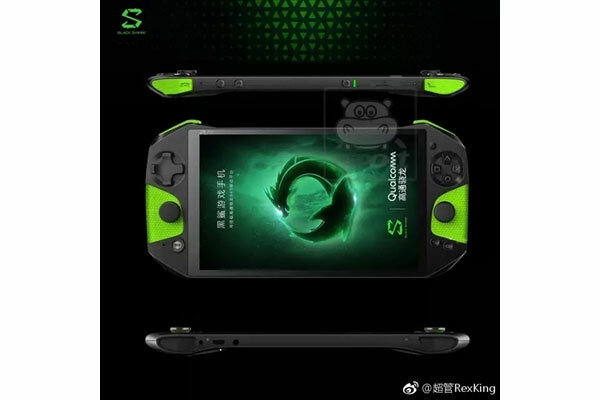 Going forward, the Chinese company will focus more on the gaming smartphone by launching more new products under the brand 'BlackShark'. According to Wu Shimin who is the founder and CEO of Black Shark Technology, the team members working on the BlackShark Gaming Phone come from companies like Huawei, Samsung and Tencent. They are highly skilled in their field. Currently the company has more than 300 skilled employees and more than 90% are designers and engineers. A few days ago, Xiaomi Blackshark had appeared on the leaked AnTuTu and GeekBench database pages. According to the test page, Xiaomi Blackshark smartphone will run Qualcomm Snapdragon 845 processor and get a score of up to 270,000 on AnTuTu. Reportedly, Xiaomi Blackshark will also be coupled with 8GB of RAM to handle gaming heavyweight performance. Looks like a Nintendo Switch, this sophisticated smartphone is not like the design of mobile phones in general. Are you interested in the innovative design that carried by Xiaomi? 0 Response to "Awesome! Look For Genuine First Gaming Xiaomi Mobile Phone"